WorldMovieStore - Rambo III Sinopsis. He's back! 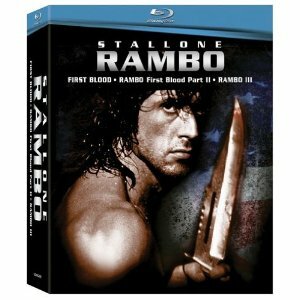 Superstar Sylvester Stallone is John Rambo, the ultimate action hero, in this explosive Oscar(r) -nominated sequel to First Blood that boasts a riveting screenplay by Sylvester Stallone and James Cameron (Titanic). Although the Vietnam War is officially over, Rambo remains the perfect fighting machine. Rambo III, The battle rages on as superstar Sylvester Stallone detonates the third blast in the action-packed Rambo series. Sam Trautman (Richard Crenna) shows up to ask for his help on a top-secret mission in Afghanistan. Read More Sinopsis. 0 Response to "Blu-ray Release Rambo III"